We did an 8-hour private guided tour today with an amazing man, Meir More. I can't recommend him enough! While I'm working through the massive history lesson (kings, religions, destruction! 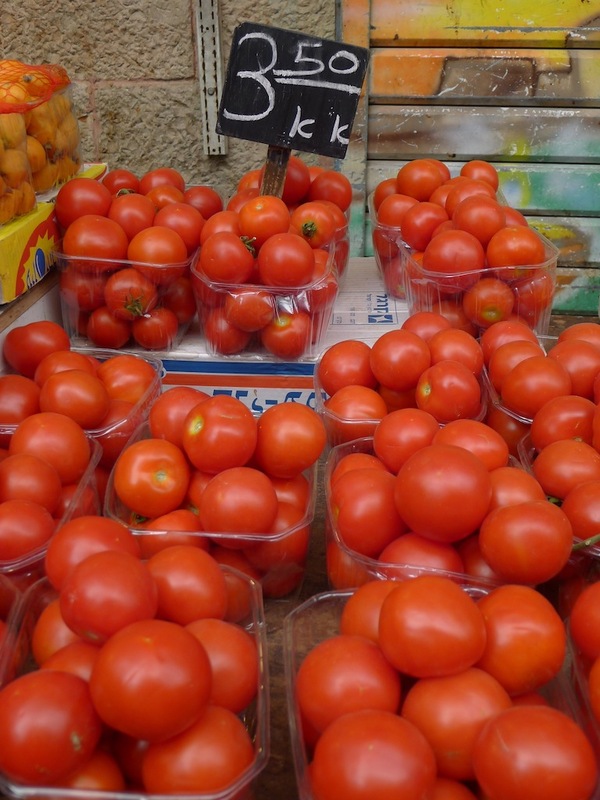 ), I wanted to post something lighter - gorgeous fruit and vegetable photos from Jerusalem's market, Mahane Yehuda. It is one of the best markets in the world, however, massively crowded on Fridays as the Jewish people prepare for Shabbat and a day of rest. Picture challah bread frantically being purchased.